A statue inspired by the iconic photograph of a World War II sailor kissing a woman in Times Square, New York City, was vandalized just days after the sailor in the photograph died. 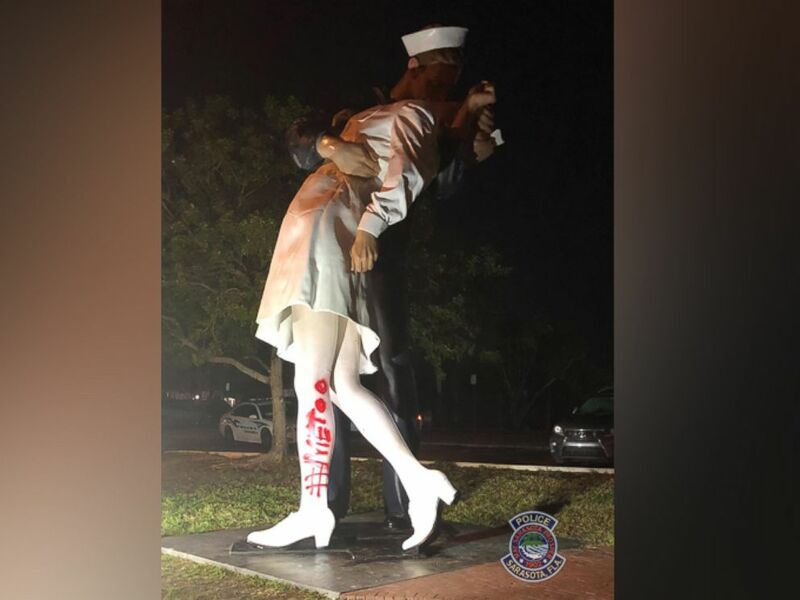 The "Unconditional Surrender" statue in Sarasota, Florida, had "#MeToo" emblazoned in red spray paint on the woman's left leg, a photograph released by the Sarasota Police Department shows. Police were called to the scene at around 12:53 a.m. Tuesday but did not find any cans of spray paint in the area, according to a press release. The "Unconditional Surrender" statue in Sarasota, Fla., was found vandalized on Feb. 19, 2019. Nothing else in the area was spraypainted or defaced, police said. There are no known witnesses to the crime and there is no available surveillance video in the area, according to authorities. The damage is estimated to cost about $1,000 to fix. 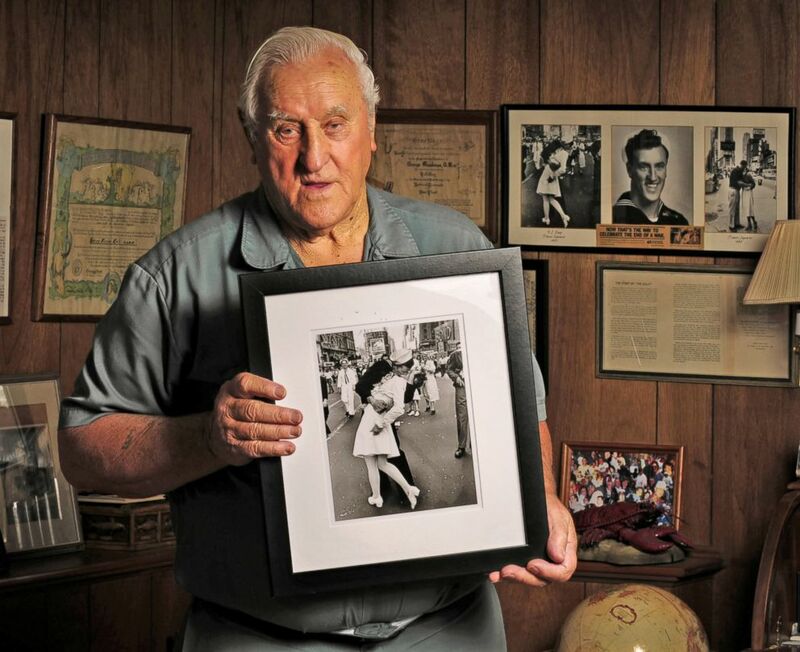 George Mendonsa holds one of the most iconic photographs of the 20th century at his Middletown, R.I., Oct. 23 2012. The sailor in the photograph, George Mendonsa, died at the age of 95 on Sunday after he had a seizure at the assisted living facility in Middletown, Rhode Island, where he lived with his wife of 70 years, The Providence Journal reported. 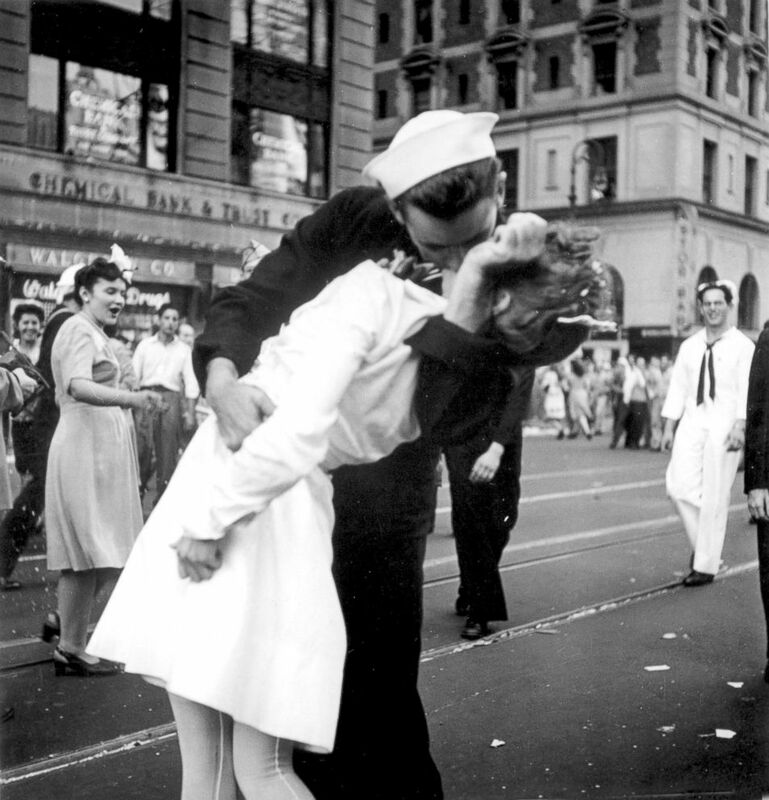 A sailor and a woman kiss in New York's Times Square, as people celebrate the end of World War II, Aug. 14, 1945. The iconic photograph was taken after people spilled onto the streets of New York City on Aug. 14, 1945, on what is known as V-J Day, the day Japan surrendered to the U.S., according to The Associated Press.